I concur, heartily, and offer an example closer to me, specifically the former Norfolk & Western station at Luray, in Virginia’s Shenandoah Valley. The town’s largest attraction, the famous Luray Caverns, can’t be seen by those just passing through town, but the depot, now re-purposed as the Luray-Page County Chamber of Commerce and Visitor Center, is readily visible to travelers using Business Route U.S. 340. The Luray-Page County Chamber of Commerce and Visitor Center offices reside in the restored historic train depot in downtown Luray! Come by and visit with our staff, collect brochures, rack cards, and recommendations, and while you’re here take a tour of the Railroad Museum located in our building as well. The local Rail Historical Society gentlemen drop by frequently, so you might get lucky with a personal tour of the museum during your visit. In point of fact, the museum consists essentially of a single room on the south end of the building. Included is a nice HO scale depiction of some of the nearby portions of the N&W’s Shenandoah Valley line in the vicinity of Luray, including the impressive trestle over Compton Creek, between Luray and Front Royal. On the east (railroad) side of the building, a few small relevant artifacts are displayed, in a nod to what is now history, in terms of how the railroad operated. 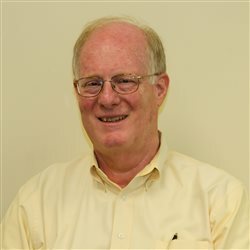 What really sets this facility apart from many others taking a similar approach, both of similar size, and in a number of cases, those with considerably greater size, however, is the quality of the context and interpretation provided. 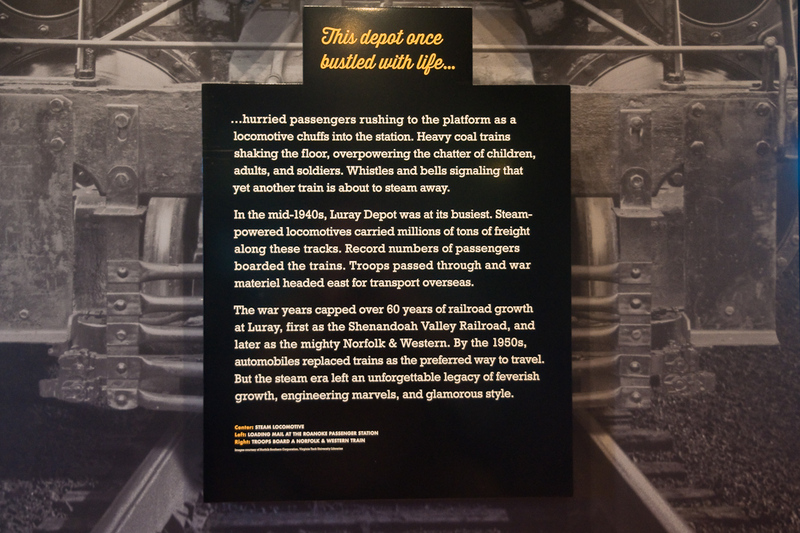 The story of the N&W, and its predecessor, the Shenandoah Valley Railroad and their operations are covered nicely, in attractive professional-quality display panels. Today’s railroad, although it occupies the same physical space in Luray that it did years ago, essentially is not involved with the community with the exception of those having to stop and waifor trains to pass through at grade crossings. To the contrary, in earlier times the railroad once played a central role in the life of Luray, as it did in thousands of towns in North America; the nexus of that connection between town and transport mode was the very building we’re describing now. As shown in the photograph above, this was particularly true during the World War II era, when the N&W, like its competitors and connections, played a vital role in the United States’ participation in the global conflict. 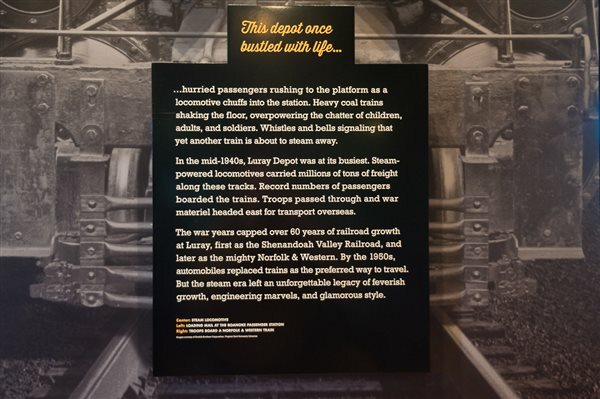 As noted on the sign, however, the end of the war brought about what in many ways was a precipitous decline in both the fortunes of railroads overall, and in their participation in the lives of the communities they served. In addition to enjoying this easy-to-digest attraction, you’ll also be able to visit the location of several O. Winston Link night shots nearby the station in Luray, including those with and without crossing watchman Archie Stover, and the well-known scene of children splashing in Hawksbill Creek while a Y-6b on a freight rolls by overhead. Consider getting off I-81 for a portion of your next passage through the Shenandoah Valley, and find your way to U.S. 340 for a visit to Luray. I think you’ll be glad that you did, and as a bonus, although traffic is currently relatively light, you might even see a train or two in the process.